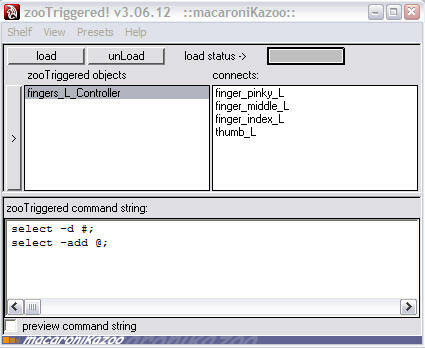 A trigger object is an object that "does something" when selected. 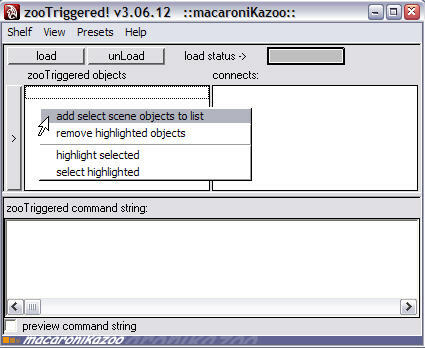 What the trigger does can be absolutely anything, as it just runs a piece of mel script contained on the object. You can think of these trigger objects as buttons, as they do something when you "press" (ie select) them. 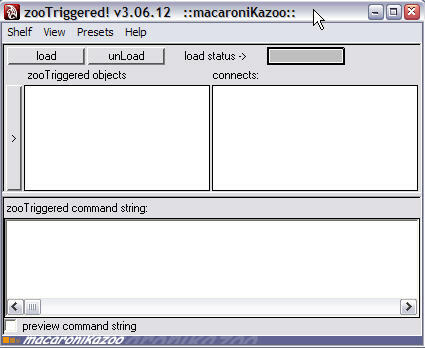 In part 1 of this walk-through I am going to demonstrate how to set up a simple trigger object. For the demonstration I have created the joints for my character's left hand and nurbs sphere called fingers_L_Controller. The idea is to set up the sphere as a trigger which will select all the finger joints on the left hand when I click it. The trigger has been created. However if you click on the fingers_L_Controller sphere in the viewport it will still select the sphere. The trigger is not enabled and the load status indicator is grey. Now if you click on the fingers_L_Controller sphere in the viewport the 4 finger joints will be selected. This has been a very simple demonstration of zooTriggered. 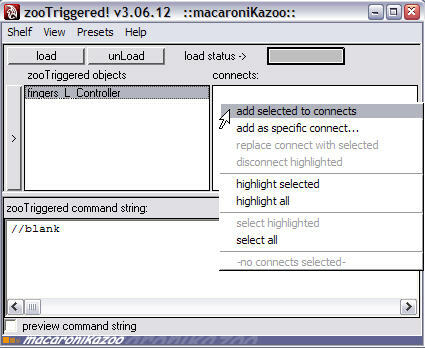 Once you get to know how to program the zooTriggered command string you can create sophisticated rigs that give the animator simple viewport based controls. 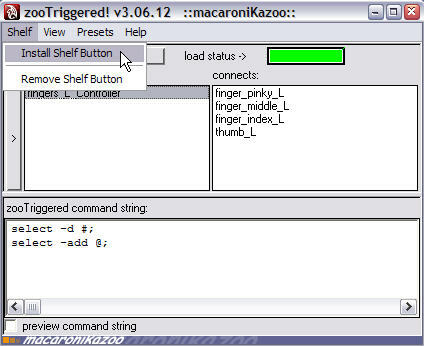 Just to finish off you should also consider installing the shelf button for loading and unloading the triggers. The blue button shown here is the one I use to load the setup user interface, but once I have created the triggers I just use the 2nd shelf button to toggle the trigger load status. Now that you have seen how it works, remember that I have barely scratched the surface of what is possible with this tool. 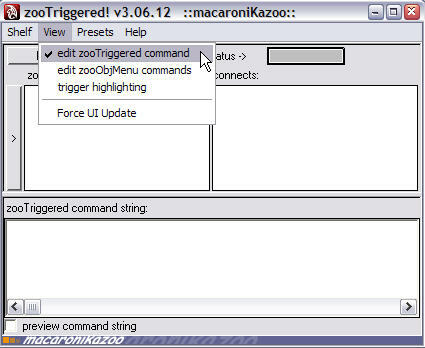 There is a lot more you can learn by reading the help text in the zooTriggered help menus.